President-Elect Donald Trump speaks during a press conference in New York, July 16, 2016. 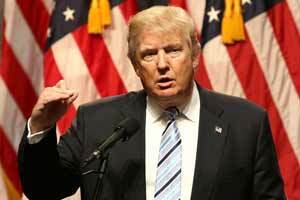 President Donald Trump's budget proposal – due sometime this week – will spare cuts to big social welfare programs like Social Security and Medicare. Mnuchin told FOX Business on Sunday morning that the new White House administration will not touch entitlement programs for now and that people should not "expect to see that as part" of Trump's financial plans moving forward. Mnuchin's comment fell squarely in line with promises Trump made on the campaign trail about not cutting into Social Security or Medicare for seniors and not nixing Medicaid healthcare for the poor. Donald Trump on Social Security: "Save it!" June 17, 2015, Dr. Gina Louden. "We are very focused on other aspects and that's what's very important to us. And that's the president's priority," Mnuchin added. Mnuchin told FOX that Trump will preview sweeping plans that will give the middle class a tax break in a major policy speech to Congress tomorrow night (Feb. 28).